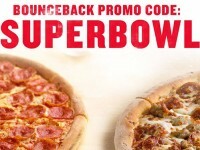 Pizza Hut has a pretty nice deal going on right now. 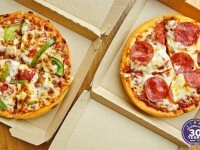 In an effort to boost up usage with their partnership with VISA Checkout, when you order any pizza with the VISA Checkout payment method and get it delivered, you will get emailed a coupon code for a free 1-topping pizza for your next order. 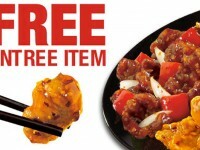 What is great is this deal is stackable with any other coupon code. 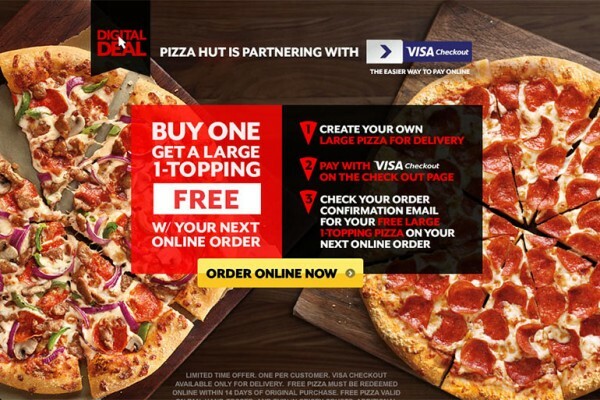 (So you don’t need to order your original pizza at the high menu price. That’s all there is to it. 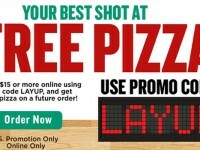 The free pizza can be carryout or delivery, and you should get the coupon code within 14 days of ordering.